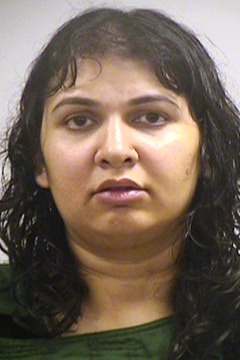 On the blogosphere and TV, parents are offering insight as to why Saiqa Akhter snapped and killed her two autistic children because she wanted “normal kids,” according to a 911 call where she confessed to the murders. However, none of them are excusing her actions. The consensus was Akhter went that far because she didn’t have a support network to help raise her kids with a disability that sometimes leaves autistic people stuck with the behaviors of a toddler. The trials of raising autistic people are no secret if you’ve even remotely followed coverage. Raising children period is a challenge with all the variables out there. Akhter’s family said she suffered from depression and other mental illnesses. Whether that can be verified or not is unclear, and we won’t know if a support network would have prevented Akhter from killing her kids either. What we do learn based on the aggregate of responses is parenting can be a frustrating and lonely experience when autism is added to the equation because a lack of understanding still remains in mainstream society. The power of social media is clear, as it has been for several years. While user-generated content is criticized for accelerating political fragmentation and filling the Internet with nothing but clutter, it’s also useful for giving anyone surfing the web insight to things that would otherwise be unobtainable. While I recommend caution about user-generated content because such information could be tainted by personal opinions or lack of evidence, they can include resources to assist others. Whatever the blogosphere holds, it’s clear many are breaking down the Akhter case, which could be a useful learning tool for people inside the autism community and reporters looking for insights to cover. AOL Health posted a Q&A session a couple weeks ago with Jeanette O’Donnell. For the rest of the world, she runs a Blogspot site called What Are They Thinking? (a link to that site can be found in the article I linked here). The title relates to her family: Five of her six children are autistic, but O’Donnell will be the first to blog about how all her kids have improved with adapting to the “neurotypical” environment since they all received their diagnosis. Q&A’s are a quick way to tell a story without have to interpret what the sources say. Most interviews use this format before they’re edited for print or broadcast. They’re a good way for beginning journalists to develop their skills before having them prune their quotes later on, but they can be effective, especially with sensitive topics like autism. The article’s writer develops a better shield against claims of bias since all they write on their end are the questions, perhaps trimming some of the answers before publication. In regards to the article, the interview strikes an unusual tone. O’Donnell mentions some controversies she’s dealt with in autism circles because of her approach to the disorder. Her strategy definitely isn’t within the confines of conventional wisdom: She doesn’t believe in chelation (a procedure that removes heavy metals from the body, a hot topic now with the unsubstantiated belief of mercury causing autism), special diets or any other remedy that is popular with parents but unproven in science. O’Donnell believes media coverage plays a role (when in doubt, blame the media…wait a minute, what am I thinking? 😛 ), making autism appear desperate and something that must be eliminated to sustain order in the mental health world. That’s not to say O’Donnell just sits there. She did employ the classic strategy of occupational/speech therapy, a pursuit with far more documented success. Another point O’Donnell makes was ensuring her kids knew they would have to adapt by society’s rules, regardless of how well society accepts them. O’Donnell’s last point could create a dichotomy with an earlier question she answered about her critics. Some call her a media whore, yet the interview ends with her asking the reporter why she hasn’t asked what the reason was for having more kids after their first child was diagnosed with autism. O’Donnell may have been looking to get a specific point out, or the reporter may not have thought about it based on the direction the interview was going. Still, when a source mentions questions that aren’t asked, don’t be afraid to ask it. You’ll find out why they want that point in quotes or on the air and how genuine the reasons are. O’Donnell does use that question to make a genuine point, from my perspective: She challenges any of her critics to meet her autistic children and tell her which one doesn’t belong. I’ve noted several times about the emotional, reactive response from parents looking to find a solution and the risk of negative consequences by buying into the first thing that supposedly works but has no scientific backing. Of course, in my childhood days, there was no talk about diets, chelation or other odd treatments. Therapy was king. The Internet changed the treatment game in a hurry, and credit must be given to O’Donnell for refusing to fall in the emotional “trap” of doing something without applying some logic to the situation. She also refuses to take credit for her children’s success. To her, they were the masterminds. The article’s tone itself is a rarity for anyone who isn’t named Jason McElwain or Temple Grandin. Even five years ago, coverage of autism painted a gloomy picture that could pose a problem to all of us. Even now, news outlets have quoted people talking about the autism “epidemic” as the diagnosis rate increases. Most articles assume some tone of how to keep autism from “destroying” us, ignoring the fact that most of us would acknowledge overcoming some flaw in our own lives, documented or not. The positives of autism may be the next phase introduced in autism coverage, and judging the articles I’ve discussed for the last year on this blog, more are sorely needed to give parents a breather and a reason to consider that autism will not be the culprit of our destruction. Tagged with 5 kids, AOL Health, article, autism, blog, Blogspot, children, Jeanette O'Donnell, Mike Peden, Q&A, Texas, What Are They Thinking? As you may have noticed on this blog, I prefer not to talk about myself in regards to appearances in media. It’s not really my style as I figure my documentaries and other media are sufficient in telling my story. However, I was the featured guest last Sunday on The Disability Show presented by Many Worlds Network. It was a 30-minute examination of my brain, my blog, and my other exploits. Click the video below to listen to the podcast. My several freelance gigs delayed my celebratory post as this blog got its 1,000th hit in September. For a blog that I update sporadically (usually when a new article is published), I’m surprised at the amount of attention I’ve attracted. I’m sure the view count is a drop in the bucket compared to other blogs from the start of the year, but I thank you for taking time out of your day to get a glimpse of mine. As a bonus for your stay, I decided to publish an article I wrote for my magazine writing class at the University of Minnesota in the fall of my senior year. The story examines autism’s hidden growing demographic and the influence this increasing group will hold on the rest of society. Most autism awareness efforts focus on diagnosing children at an early age. For autistic adults, there are many questions about how to treat them. Last year, the Centers for Disease Control and Prevention estimated one out of every 150 American children was autistic. More than 25,000 new children will be diagnosed with autism in 2008. For people who know what autism is, those numbers would trigger an alarm. Autism impairs a person’s ability to communicate and interact with others by causing delays in language and cognitive development. There is no cure, but the effects can be reduced if there is early intervention. This knowledge is the basis for most autism awareness efforts, but not many know that adults can be diagnosed with autism as well. In fact, estimates suggest there will be 1.5 million adults living with autism in the United States by 2016. Some who specialize in autism treatment and research say that number could be even higher. “There’s an increasing number of adults who recognize they’re on the spectrum and realize this is what was going on all along,” says Dr. Thomsen F. Davis, a pediatric psychologist working in the Twin Cities area. Davis believes the core issue with autistic adults is understanding why they and other people in their lives behave the way they do in social situations. “They live with a lot of self-criticism and doubt,” he says. Paul Johnson remembers going to high school in Brooklyn in the 1970s. The 49-year-old African-American considers himself fortunate that he was close with his brother who was popular at school because the environment presented risks. Johnson couldn’t figure out what was causing issues while he was growing up until two years ago, when he was diagnosed with Asperger Syndrome. “It really caused me to look back at the course of my life and notice all the Aspie moments,” he says. Asperger Syndrome is a high-functioning form of autism and one of many disorders on the autism spectrum. People with Asperger Syndrome don’t suffer language or cognitive delays compared to people with more severe autism, but often struggle with social interaction and may have restricted behaviors and interests. Johnson frequently stops at Dunn Bros Coffee in uptown Minneapolis, but even that doesn’t signal his disability. There are no physical characteristics for people on the autism spectrum. Not having a clear sign can make understanding autism difficult for people who aren’t affected and communicate normally. The autism community generally refers to them as neurotypicals. “There are a lot of expectations that a neurotypical shouldn’t be struggling with and I do struggle at work or at certain social events,” Johnson says. Johnson, a psychotherapist, says a colleague mentioned the possibility of Asperger’s after making many bad choices when working with clients. The diagnosis was the start of Johnson’s path towards understanding, but he questioned whether or not he was on the spectrum early on. Complicating the discovery was the fact that Johnson was born with a birth defect that put him in a wheelchair or on crutches until he was 11. Johnson remembers how relatives and peers associated his quirky behaviors with his physical condition. “That really shrouded a bunch of stuff,” he says. His wife of 19 years thought Johnson’s behavioral quirks is what Johnson refers as “Paul being Paul” before Johnson was diagnosed. Once she found out he was on the spectrum, she strongly resisted the idea, placing Johnson’s relationship with himself in a flux. Depression soon followed. People with Asperger’s sometimes boast superior memory skills than normal adults. As a child, Johnson was fanatical about sports. He could often be seen watching numerous sports featured on ABC’s Wide World of Sports and would immerse himself with statistics of many professional sports teams in the New York area. Because of the large sports market in New York, Johnson could recite the numbers and not even get as much as a glare. “It was ‘He’s just really into his sports’ and I would just talk about what somebody batted in 1969,” he says. Johnson’s thirst for knowledge carried with him as he became an adult when his focus shifted from sports to psychology. Publications from people who study the autism spectrum are no challenge for him. “Any book that’s written by a scientist or psychologist from their end, I can read it and pick it apart,” he says. He auditioned for Jeopardy! three years ago, although he didn’t get past the second round. “I get between 20-30 questions right when I’m watching Jeopardy!” he says. While Johnson’s ability to make connections between what people say and do faster than most people gives him many advantages as a psychotherapist, his intellectual curiosity also creates obstacles when he tries to communicate with others. After Johnson was diagnosed, he began attending adult group meetings at the Autism Society of Minnesota to find answers about the previously unknown disability that affected him throughout his life. He is one of many adult members now, and he learned early on that he wasn’t the only person trying to understand himself. “I was asking so many questions, I had to bite my tongue,” he says. Johnson recalled a chat he had with another member about a Thanksgiving dinner conversation two years ago that helped him comprehend that the quirks he had growing up was not pure coincidence. “He said he learned that it’s not OK to talk about dead animals at the dinner table. And I’m like, oh wow! Finally somebody who’s more screwed up than I am!” he says. Johnson doesn’t compare himself to others on the spectrum or judge anyone based on where they fit on the spectrum, but that early Thanksgiving talk, among other things at the Society, served as an important catalyst. “That was very instrumental in affirming me,” he says. Jamie Clifton, a 30-year-old originally from Burnsville, Minnesota, considers herself a very outgoing, animated woman. Six years ago, she met a man who would become her husband four years later. While she says the opposite personalities between herself and her husband bring them together, Clifton believed something was off. While Clifton’s work in occupational therapy helped her become a patient person outside the work environment, she found herself frustrated with what seemed to be a lack of involvement from her husband about their relationship. “I had to initiate everything. I don’t want to say I’m a control freak, but sometimes it’s kind of like that where I’m definitely the more dominant one. I’m the one that makes all the decisions. I was the one that approached him. I was the one that initiated our first date, our second date, being serious, moving in, being engaged,” she says. She was even the one who persuaded her husband to be evaluated after they married, and that’s when they both found out that he had Asperger Syndrome. The idea of her husband on the spectrum didn’t occur until Clifton visited her husband’s mother to discuss his behaviors. “I was like ‘This is what I’m noticing, do you notice the same things?’ and she said yes,” she says. There was another problem. Clifton had very little knowledge of Asperger’s and the autism spectrum. Her only significant experience before meeting her husband was watching Rain Man, the Academy Award-winning film about the bond between a car salesman and his brother Raymond Babbitt, an autistic savant. While the film brought autism to the mainstream public for the first time, people like Clifton quickly assumed that every person with autism was similar to Babbitt’s character, who was based on an intellectual savant who was never diagnosed with autism. “I started researching on the Internet and that’s when the whole autism/Asperger thing came up,” she says. But the questions didn’t stop there. Clifton’s husband was originally diagnosed with Attention Deficit Disorder and took Ritalin for eight years, his parents and Clifton thinking he would outgrow it. His parents initially viewed his conduct as stubborn. He grew up in with a family that never talked about feelings or emotions. The environment Clifton’s husband was used to, combined with Clifton’s personality, originally caused an overwhelming feeling when the two were first dating. Clifton wanted to connect, but her husband wasn’t warm to the idea. “He actually broke up with me, because he (said) you just want too much,” Clifton says. Clifton went through several bad relationships before and says her husband was the first person she met that treated her fairly. Clifton says her husband is still apprehensive to communicating his disability with other people, but his communication skills grew with age and continuous interaction with her. She is also fascinated by her husband’s skills, as he works as an auto mechanic. “He’s really good at working with his hands. He can sequence, he can problem solve, do all of these things he can’t do in everyday life and I just don’t get it. I don’t know if I would be with him if it wasn’t for that strength,” she says. Clifton’s marriage is still no fairy tale though. She handles all the finances between the two after her husband lost his check book four times and was unable to grasp the concept of online banking. Clifton is hoping to meet another young couple also affected by the autism spectrum. “I always think of the analogy where if you’re married to someone on the spectrum, it’s like you’re two wires that are wrapped around each other. You’re never actually intertwined,” Clifton says. The Autism Society of America says the average lifetime cost of caring for an autistic person ranges from $3.5 million to $5 million. The United States spends nearly $90 billion annually on autism costs, including research, treatment and educational spending, according to the Society. While people like Johnson and Clifton live independently, the price tag worries some about the ability to care for adults who can’t take care of themselves. Aggravating this problem are mysteries of autism itself. There are no scans, imaging or blood tests that can identify autism. “Some people are accepting, but others treat them like aliens,” Davis says. Johnson says his study of psychology helped train him to do something that many autistic adults aren’t expected to do, but he still can’t escape the stereotypes of being associated with the autism spectrum. Johnson was interviewed by a student working on her dissertation and helped her in more ways than she anticipated. Gurley says one of the most popular issues of Autism Advocate, released last year, offered stories of autistic adults successfully integrating in a public work environment. “We wanted to produce an issue that was hopeful and positive,” she says. The stories included programs designed to help autistic adults adapt with other people’s communication levels while incorporating their personal strengths. In Minnesota, autistic adults were hired to government offices where they scanned paper records to be digitally stored. Gurley discovered through her reporting that adults with autism are most successful with jobs that involve systematic and logical work. Gurley says she tries to publish a few articles about adults in every issue. Although Gurley knows many signs indicating that people not directly affected by autism are more willing to accept the autistic adult community, she says nationwide acknowledgment is one of the ASA’s top priorities. “Many states don’t have programs in place. Some companies aren’t sure what to think,” she says. For Davis, acknowledgment means a recognition of individual differences and a continued education of inclusiveness. “No one should even say you can’t do this job because you have autism,” he says. Johnson wrote an essay titled The Mirror Theory: Towards an Understanding of Neurodiversity in the General Population, and will present a lecture on the essay next year. “I want everybody to understand that there’s a diversity in the way people think,” he says. Johnson says a revolution in the way people perceive the autism spectrum will defeat the obstacles creating confusion for people trying to get a grasp of what to expect in the coming years. Two years after his diagnosis, Johnson doesn’t see himself or others with autism as a handicapped population anymore. Johnson is able to examine how his life is affected by Asperger’s through his work with clients and his journals. The experience is rather unique for an adult on the spectrum, but he developed a philosophy that expands to a broad segment of the ever-growing adult population. “It’s all about identity. If you’re struggling with anxiety or depression, it can be remedied by having a good understanding of who you are. Period,” he says. Davis remembers the social climate surrounding autism 50 years ago. Back then, people didn’t know what to do with autistic people, if they even knew about autism at all. He points out that most autistics at the time were highly unlikely to get a healthy social education experience. Now, he sees others more open to learn about autism and its community. “There’s reason to be optimistic,” he says.